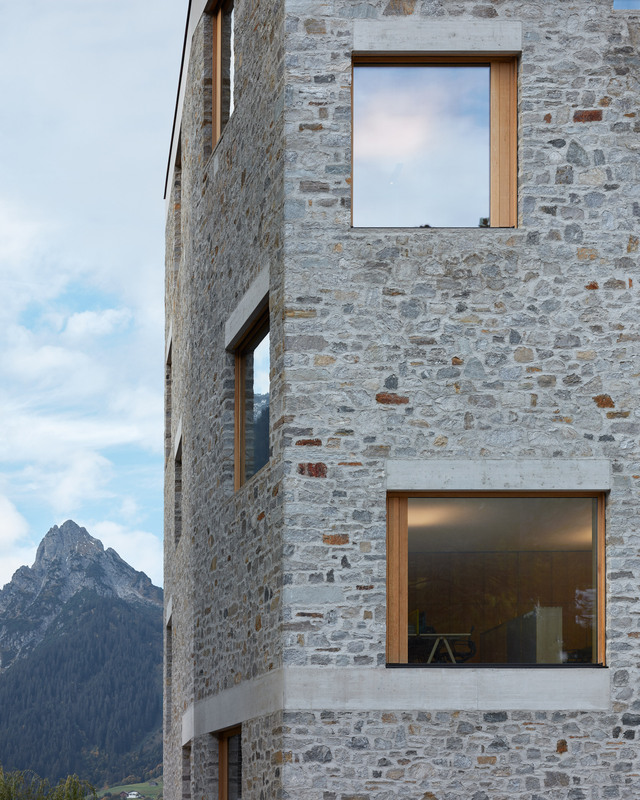 The Alpin Sport ski resort headquarters in the village of Schruns, Austria, by Bernardo Bader Architekten, has mismatched windows and is clad in irregularly quarried stone. The offices for the Silvretta Montafon ski resort also features an unusual, roughly square plan where each side angles gently in or out. 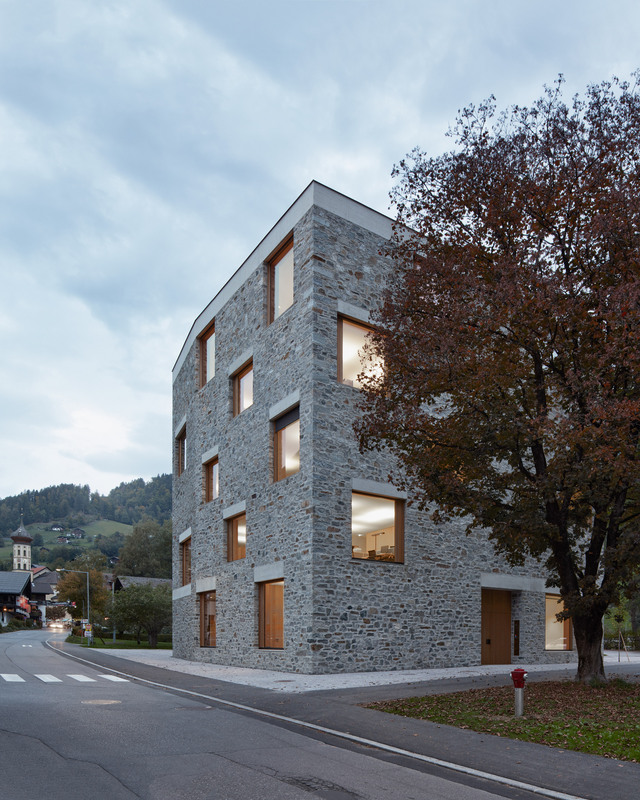 Described by Bernardo Bader Architekten as “a powerful and stately house in the tradition of the surrounding village”, the new building provides workspace for around 60 people alongside educational and information spaces and a conference room. The centre stands alone on a site between the denser village centre and its more open edge. 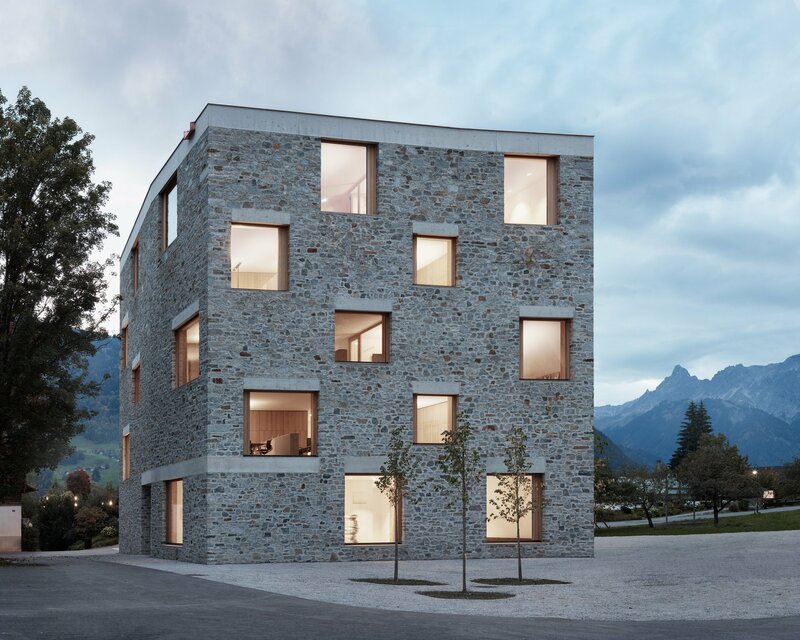 The ground floor of the Alpin Sport building has been conceived as a continuation of the adjacent Silvretta Square, which flows into a large, paved lobby and information area. The distinctive gneiss and granite stone surface is defined by concrete lintels and oak window reveals, sitting within a reinforced concrete frame infilled with moisture-regulating brickwork. Windows are of various sizes on each floor, and the concrete lintels sometimes run around corners of the building, creating a gently higgledy-piggledy effect. 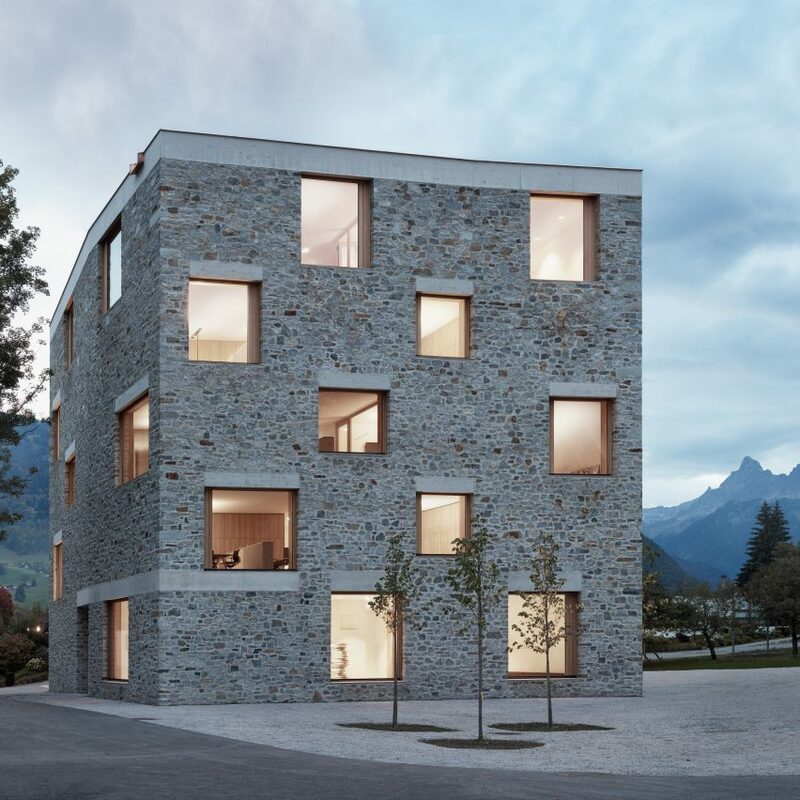 “The outside materialisation has both a timeless and symbolic expression – it belongs to the mountains, speaks of craftsmanship and building tradition,” explained Bernardo Bader Architekten. 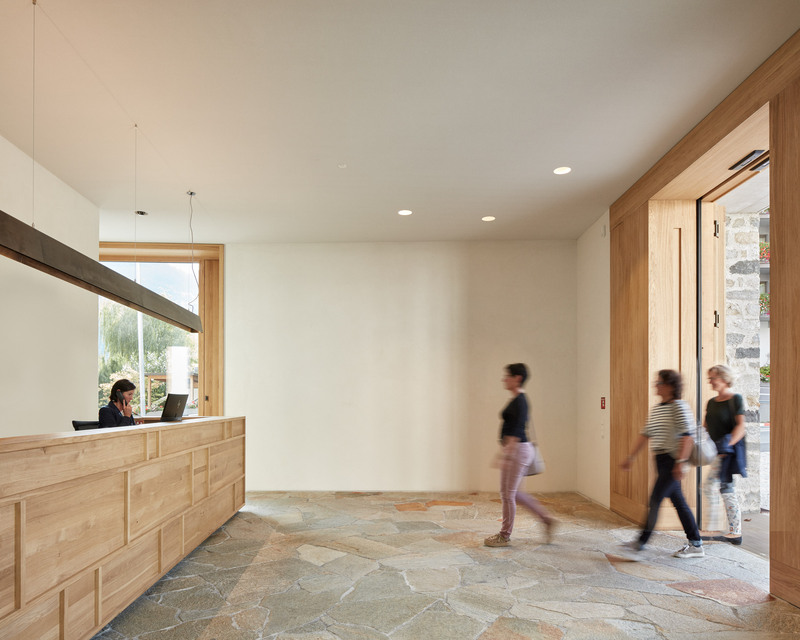 Inside, a concrete stair core leads to three floors of office and educational spaces, where wooden floors and whitewashed walls are designed to create a “homely, cosy atmosphere”. As well as providing for tourists and staff, the centre will include areas for education and training in some 40 professions, creating opportunities in the tourism industry for locals. 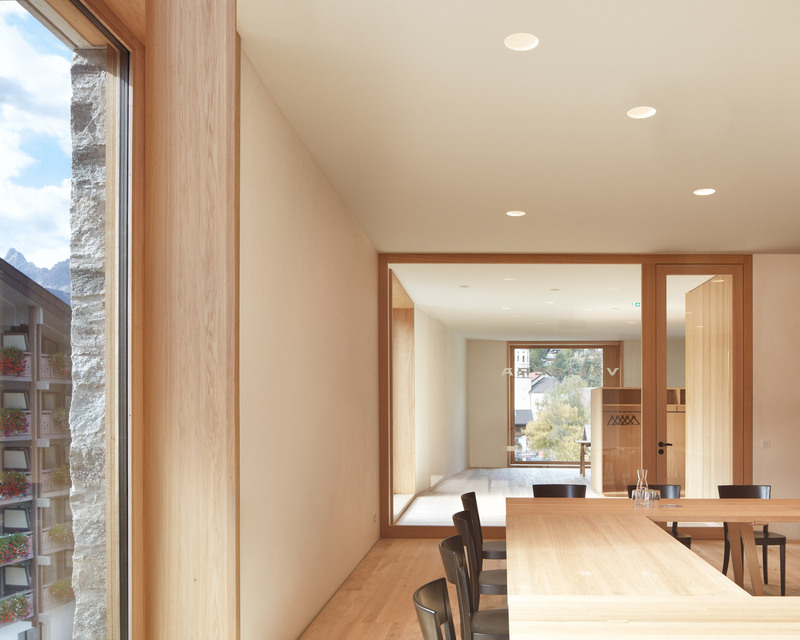 This use of stone marks something of a departure for Bernardo Bader Architekten, which has more commonly using wood for reinterpretations of the Alpine chalet. In the Appenzell region of the alps, the firm designed a larch-clad home for an art collector, and in the Vorarlberg region designed a hillside home that appears to be raised on stilts. The post Bernardo Bader Architekten designs stone-clad ski centre with irregular forms appeared first on Dezeen.